My family and I are active members at Immaculate Conception. I also am involved in the Dad's Club for Immaculate Conception grade school. In addition, I am a co-chair of the Diocese of Joliet annual appeal for Immaculate Conception. I enjoy spending my time being an avid supporter of YoungLife & Alex's Lemonade Stand Foundation. My family and I are also members at River Forest Country Club in Elmhurst. I am proud to support Northwestern Mutual – Chicago's Childhood Cancer Program. Every day, 720 kids are diagnosed with cancer. Northwestern Mutual is committed to giving all kids the chance to live life to the fullest by accelerating the search for a cure to pediatric cancer while providing support to families battling the disease and survivors struggling with treatment side effects. 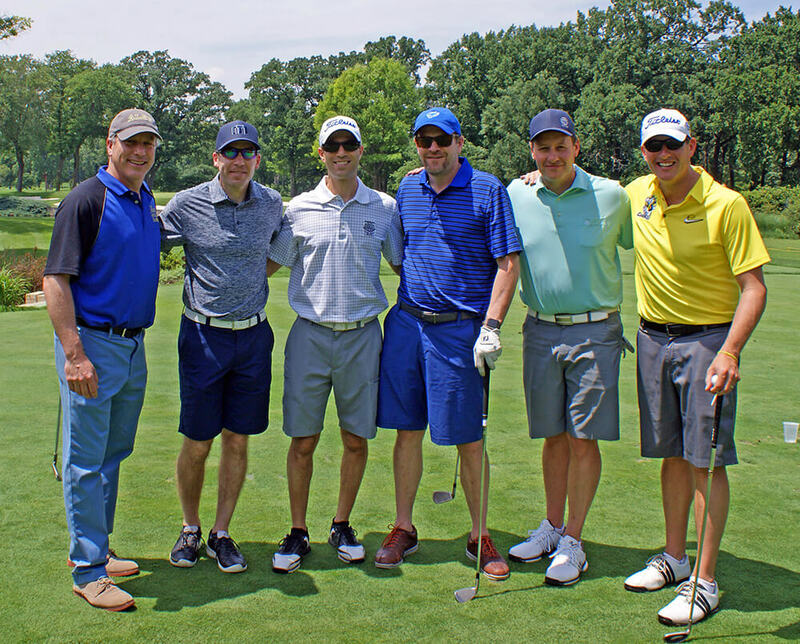 In June 2018, it was an honor to join my fellow Northwestern Mutual – Chicago financial professionals and associates in raising over $75,000 to support Alex’s Lemonade Stand Foundation for Childhood Cancer Research at our 4th Annual Golf Outing and Dinner Auction. Northwestern Mutual is the marketing name for The Northwestern Mutual Life Insurance Company, Milwaukee, WI (NM) (life and disability insurance, annuities, and life insurance with long-term care benefits) and its subsidiaries. Chad Michael McQuade is a Representative of Northwestern Mutual Wealth Management Company®, (NMWMC) Milwaukee, WI (fiduciary and fee-based financial planning services), a subsidiary of NM and federal savings bank. All NMWMC products and services are offered only by properly credentialed Representatives who operate from agency offices of NMWMC. Representative is a District Agent of NM and Northwestern Long Term Care Insurance Company, Milwaukee, WI, (long-term care insurance) a subsidiary of NM, and a Registered Representative of Northwestern Mutual Investment Services, LLC (NMIS) (securities), a subsidiary of NM, broker-dealer, registered investment adviser and member FINRA (www.finra.org) and SIPC (www.sipc.org). Representative may also be an Investment Advisor Representative of NMIS. Chad Michael McQuade is primarily licensed in Illinois and may be licensed in other states.